Phytoplankton and zooplankton that live near the surface are the base of the ocean's food system. Everything from small fish, big fish, whales and seabirds depend on their productivity. 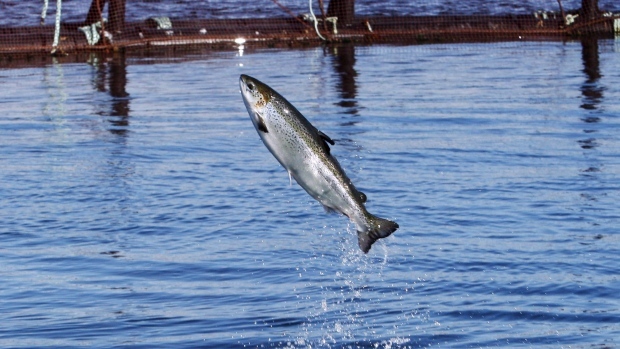 "They actually determine what's going to happen, how much energy is going to be available for the rest of the food chain," explained Pierre Pepin, a senior researcher with the Department of Fisheries and Oceans. Pepin says over the past 3-4 years, scientists have seen a persistent drop in phytoplankton and zooplankton in waters off Newfoundland and Labrador. "Based on the measurements that we've been taking in this region, we've seen pretty close to 50 percent decline in the overall biomass of zooplankton," said Pepin. "So that's pretty dramatic." 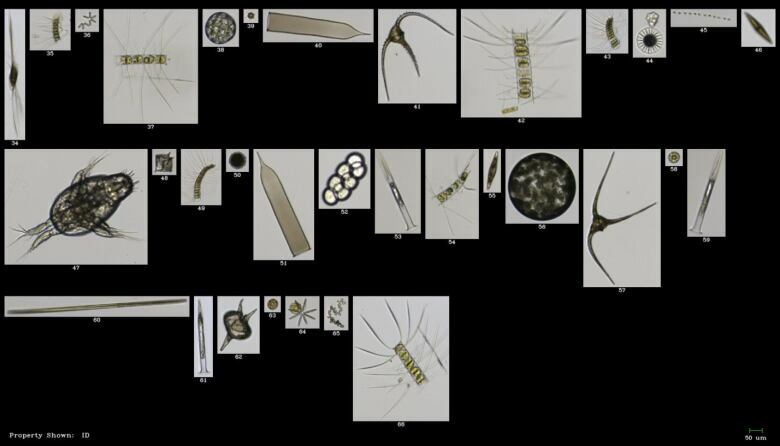 Scientists say local testing reveals half the amount of plankton in a square metre of water today. It's not just a problem here, declining plankton numbers are a global phenomena. It's a difficult idea to convey to the average person who might not understand the ocean ecosystem, but Pepin likens it to walking into a grocery store and instead of seeing the shelves full, they're only half full. "You know if you saw half the number of birds, if you saw half the number of fish in the water you'd pay attention. Well, this is a signal to say we need to pay attention." So what's causing this dramatic decline? Scientists here haven't detected anything in particular that can be linked to the plunge in productivity, but they are worried. "When it persists — for in our case now for three or four years — in the back of my mind, at the very least, little alarm bells start going off because it means that something fundamental may have changed in the food web." Pepin says it is difficult to understand how long it takes the effect of this lack of basic food to make its way through the ocean ecosystem. Scientists have to advise managers on how to handle fish stocks but without clear evidence of causes and effects, it becomes a very difficult job. "How do we act on this, this is a real challenge." In this Wednesday March 28, 2018 photo, a North Atlantic right whale feeds off the coast of Plymouth, Mass. Fishermen in certain parts of the Grand Manan Basin have to get their gear out of the water Thursday after endangered North Atlantic right whales were spotted in the area. (Michael Dwyer/Associated Press)The federal government announced Monday evening the first temporary fisheries closure in the Bay of Fundy as a result of a North Atlantic right whale sighting.The area, just east of Grand Manan, will be closed to fixed-gear fishing activities starting at 11:59 p.m. Thursday, the Department of Fisheries and Oceans said in a statement. It said the closure, which affects lobster, crab, groundfish, herring and mackerel licenses, will remain in place until further notice. The Grand Manan Basin is a critical habitat area for the whales. It's believed to be the first closure of its kind ever in the bay, according to Laurence Cook, chairman of the Grand Manan Fishermen's Association lobster advisory board. Cook was busy fielding calls and texts from "angry and upset" members after government informed the association around 6 p.m. Monday, he said. The association has been closely following the tension surrounding a series of closures in waters off northeastern New Brunswick after dozens of whale sightings in the area. Frustration is mounting with hundreds of fishermen concerned for their livelihood. Those sentiments are now being shared with their counterparts in the island community off New Brunswick's southern coast. About 40 boats, roughly a third of the Grand Manan fleet, will be impacted, Cook said, estimating about 150 workers — on and off shore— could be affected as they enter the "most prosperous time of the season." "The lobster is the engine that drives Grand Manan's economy," he said. "It's a massive hit." Cook said he was holding his breath after a right whale was spotted off Grand Manan on Saturday. The association argued its case with DFO officials in Dartmouth on Monday before Ottawa made the final decision. Cook said their unblemished track record to avoid harming whales fell on deaf ears. In 2006, fishermen voluntarily developed a mitigation strategy to not disturb whales, he said. That involved reporting whale movements and modifying equipment to reduce the chance of entanglements. "It isn't fair for the government to shut us down because crab gear 1,000 kilometres away killed two right whales last year," he said. Necropsies on seven of the whales that died last year showed four died of blunt force trauma from collisions with ships, while two more appeared to die from being entangled in fishing gear. 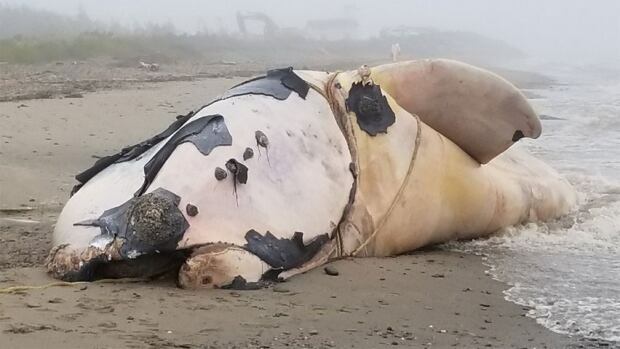 Since January 2017, there have been 18 deaths of North Atlantic right whales in U.S. and Canadian waters — 12 off the Canadian coast and six off the U.S. A whale carcass found last week in Virginia is the 19th. To date, there are only 100 breeding females remaining in a population of about 450 North Atlantic right whales. 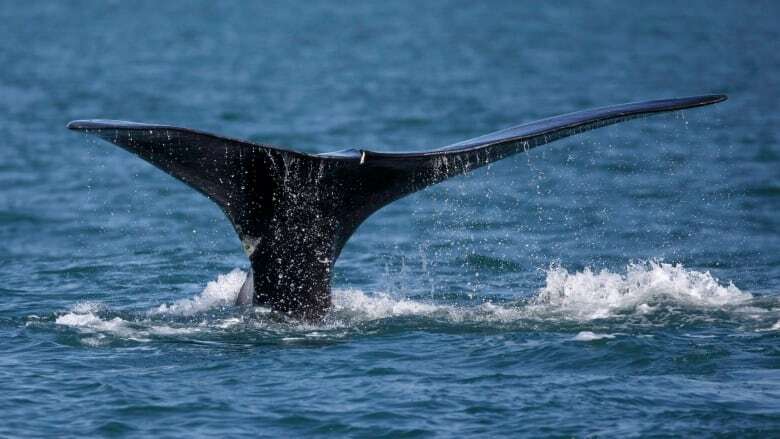 Up to 75 right whales have been spotted in the southern part of the Gulf of St. Lawrence so far this year, officials said. Since the beginning of the fishing season for lobster, snow crab and other species, the federal government has closed six fishing areas because of the presence of whales. More closures are scheduled to come into effect Thursday. The fishery closure is just one of the measures taken by the department to try to save North Atlantic right whales. New rules also require ships to slow down in some areas. 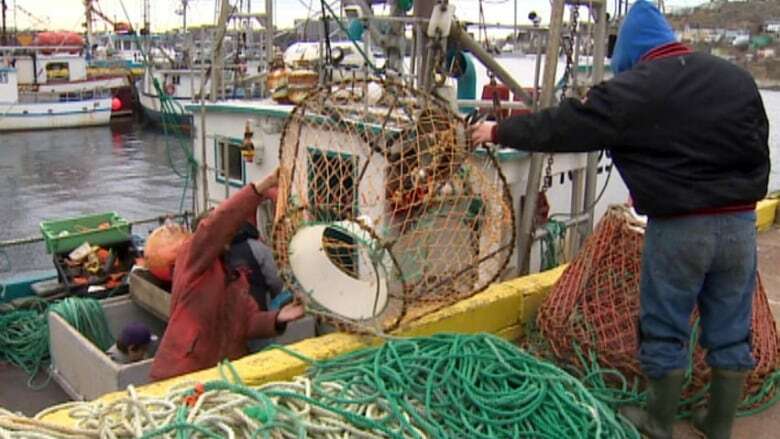 Federal Fisheries Minister Dominic LeBlanc met with representatives of the Maritime Fishermen's Union in Moncton last Friday but did not agree to relax the closures. The Gulf of Maine Council on the Marine Environment has over the years recognized efforts by individuals, groups or organizations that seek to protect, enhance and restore the ecosystem of the Gulf of Maine region and safeguard and improve the wellbeing of the communities that depend on its resources. The Council has established awards to bestow on individuals and organizations for their exemplary work as stewards of the ocean. 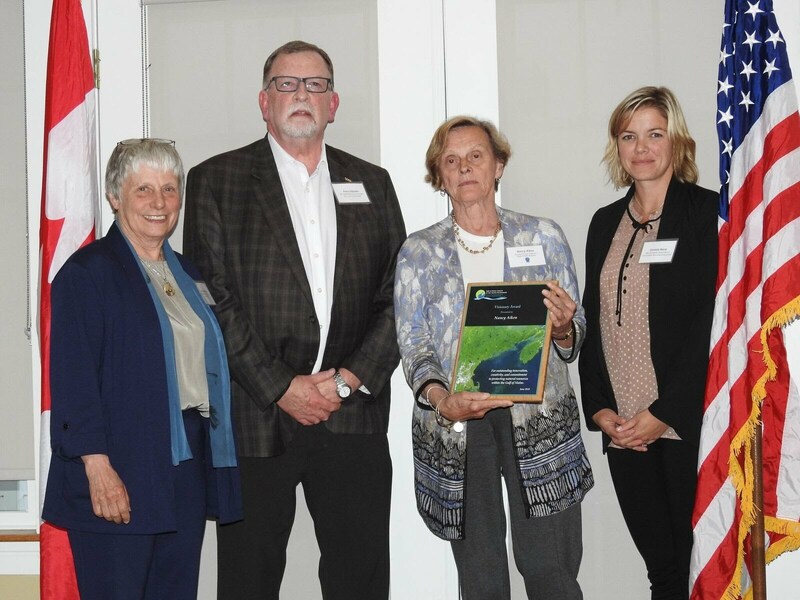 Each year the Council accepts nominations for the awards which include: Visionary awards, the Sustainable Community awards, the Industry award, the Art Longard award, and the Susan Snow-Cotter award. A description of each award can be found below. Awards are presented at a special ceremony in June of each year. Nomination forms will be posted on this page during the annual awards nomination period. 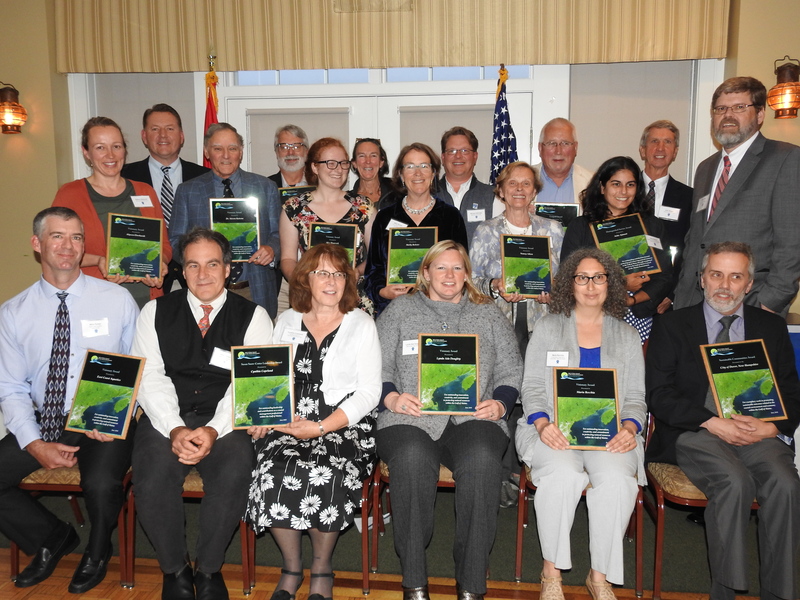 Photo: Award winners at June 5, 2018 Awards Reception, The Gloucester House, Gloucester, Massachusetts. Parts of the water off the coast of New Brunswick will be closed to lobster fishing this season to protect the North Atlantic right whale, the Department of Fisheries and Oceans has told lobster fishermen. It's one of several new measures that will affect the lobster industry, after a historically deadly summer for the endangered whales. 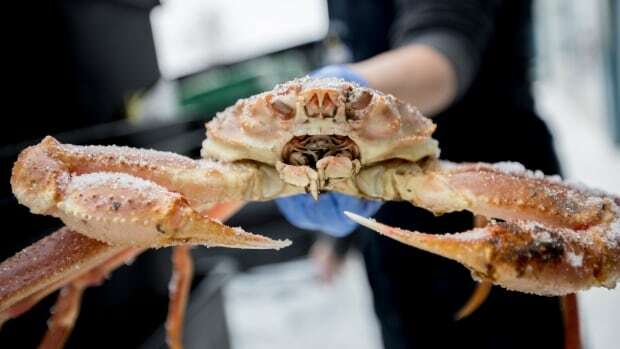 Until now, the focus was mostly on snow crab fishing in the Gulf of St. Lawrence, after necropsies revealed at least three whales likely died as a result of entanglement in fishing gear. ​But Tuesday's notice reveals many of the same measures announced in late March for the crab fishery will be applied to lobster fishing in the gulf as well. Lobster fishermen reacted with surprise and disappointment and suggested the new rules were mostly about the federal department's public image. Martin Mallet, executive director of the Maritime Fishermen's Union, said the lobster industry only found out two weeks ago that Fisheries and Oceans was contemplating restrictions on them to protect whales. He said lobster fishermen tried to suggest other solutions but the federal department didn't listen. Although lobster fishermen usually stay closer to shore than crab fishermen do, Ottawa believes they could venture into zones where the right whales will be found. A "static closure" will be implemented off the northern coast of New Brunswick from April 28 — two days before the season begins and for its duration, until June 30. The closure area is one where where 90 per cent of the right whales were observed last ummer. Fisheries and Oceans will also enforce what it calls "dynamic closures" in other areas, meaning wherever a right whale will be spotted this season, the area around it will be closed for a minimum of 15 days. Those closures would be lifted once two consecutive aerial surveillance missions confirm the whales have moved on. Reducing the amount of rope floating on the surface of the water. Reporting all lost fishing gear. Informing Fisheries and Oceans of all interactions with a marine mammal, including bycatch, collisions and all sightings of entangled marine mammals that occur during fishing expeditions. Reporting any sighting of live, free-swimming whales to Fisheries and Oceans. These measures will affect all lobster fishermen in the gulf region in fishing zones 23, 24, 25 and 26. Mallet, of the Maritime Fishermen's Union, said its members are experts in fishing, and the union has scientific experts as well, yet Ottawa didn't seek their collaboration in coming up with a plan. "It is mainly the process that is deplored," he said. "Our members do not feel listened to and feel excluded, as if it is taken for granted that these measures do not concern them." At least 18 north Atlantic right whales have been found dead since last year — 12 in Canadian waters and six in U.S waters. Necropsies on seven of the carcasses found last year determined four whales died of blunt force trauma from collisions with ships, and the other three likely died from entanglements in fishing gear. Ottawa, Ontario – From coast to coast to coast, Canadians have signaled their strong passion for protecting the fish and fish habitat that play such a vital role in our environment, our communities and our livelihoods. 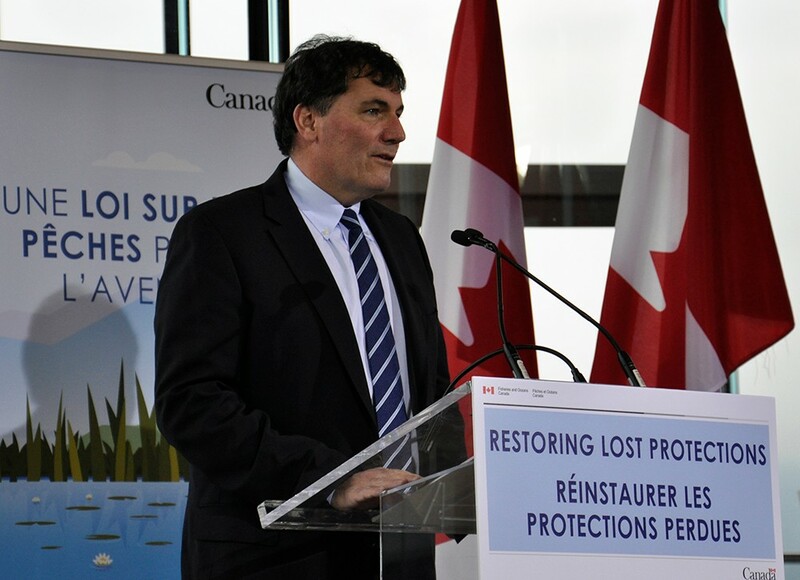 Today, the Honourable Dominic LeBlanc, Minister of Fisheries, Oceans and the Canadian Coast Guard announced amendments to the Fisheries Act that would restore lost protections and incorporate modern safeguards to protect our fish and their habitat for generations to come. The Government of Canada is putting in place better rules to protect our environment. The proposed amendments introduced today would restore the protections to all fish and fish habitats that were lost with changes that were made in 2012. Proposed changes would also put in place new modern safeguards to help our communities by better managing projects, enhancing marine protection and allowing the sustainable use of our resources while protecting them for our future. The government will invest up to $284.2 million to support restoring lost protections to fish and incorporating modern safeguards. As part of the Government of Canada’s Review of Environmental and Regulatory Processes, the Government of Canada is restoring protections and rebuilding trust. Fisheries and Oceans Canada consulted broadly, hearing from thousands of Canadians, to ensure changes to the Act focus on the areas that matter most to Canadians. The new Fisheries Act reflects what we heard from two rounds of online public consultations, over a hundred meetings with partners, stakeholders and Indigenous groups, and recommendations from the Standing Committee on Fisheries and Oceans. Photo legend: The Honourable Dominic LeBlanc, Minister of Fisheries, Oceans and the Canadian Coast Guard, announces amendments to the Fisheries Act that would restore lost protections and incorporate modern safeguards to protect our fish and their habitat for generations to come. Fisheries and Oceans Minister Dominic LeBlanc has announced four changes to the snow crab fishery in the southern Gulf of St. Lawrence to protect North Atlantic right whales from entanglement, including reducing the amount of rope floating on the surface and mandatory reporting of all lost gear. The new management measures will take effect immediately and will be enforced "very aggressively," LeBlanc said during the news conference in Moncton on Tuesday. A "series" of other measures will be announced in the coming weeks and months, said LeBlanc, but he wanted to announce these steps now to allow the industry time to prepare for the upcoming season, which normally begins around mid-April, depending on the amount of ice. The government will "most likely" impose speed restrictions for vessels again, LeBlanc told reporters, but the primary responsibility for that belongs to Transport Canada Minister Marc Garneau, he said. Last summer, Transport Canada imposed a mandatory 10-knot speed limit in the western part of the Gulf of St. Lawrence for vessels 20 metres or longer to help reduce the risk of whale strikes and to improve the chances of survival for any whales struck. Other pending crab fishery measures will relate to the number of traps permitted this season and the possibility of using Coast Guard ice-breakers to start the season sooner, said LeBlanc. That would allow fishermen to catch their quota and remove their gear from the water as early as possible, "hopefully reducing the risk of contact with the whales." Scientists have advised the government North Atlantic right whales could be back in the gulf as early as April, Transport Canada communications adviser Julie Leroux said. It is not possible to predict how many will return, said Leroux, "due to the variability" observed in recent years. The government will also invest "many millions of dollars" in "very high-tech, state-of-the-art detection and monitoring equipment" that will help protect North Atlantic right whales on the East Coast and killer whales on the west coast, said LeBlanc. At least 17 North Atlantic right whales died in Canadian and U.S. waters last year. Necropsies on seven of the carcasses determined four whales died of blunt force trauma from collisions with ships, while the other three likely died from entanglements in fishing gear. There are only an estimated 450 to 500 of the whales left in the world. Of those, only about 100 are breeding females, said Kim Davies, an oceanographer at Dalhousie University and an expert on North Atlantic right whales. The situation is "extremely dire," she said. Any measures that help to reduce the amount of fishing line in the water, especially slack line on the surface, "is a very good step," said Davies. Right whales tend to spend a lot of time at the surface — coming up to breathe, feed and socialize, she said. "So this slack line really represents a high entanglement risk." The normal life expectancy of the animals is about 70 years, "but we kill them [through fishing gear entanglements and collisions with vessels] by the ages of 20 to 30." Based on the current rates of mortality and populations growth, researchers expect all of the breeding females will be dead within two decades, said Davies. "So every whale counts. Every whale that we can stop from becoming entangled counts toward saving the population." An unprecedented number of the right whales appeared in the gulf last year, which scientists suspect is related to climate change forcing the whales to find new sources of food. Under the new crab fishing rules, a maximum of 3.7 metres (two fathoms) of rope can be used when attaching a secondary buoy to a primary buoy, said LeBlanc. Previously, there has been no restriction on the amount of rope used, he said, noting the government heard about "dozens of metres" of rope being used in some cases. Fishermen will also be required to add metal weights to portions of the rope that attaches a crab trap to a primary buoy to ensure the rope is vertical and not floating on the surface of the water once the crab trap has been set. That rope will now be marked with the colour specific to the fishing area in which they're authorized to fish, which will help officials identify the place of origin of any future entanglements, said LeBlanc. Research has shown entangled whales can travel "hundreds of kilometres" away from the area where they first came into contact with the fishing gear, he said. Similarly, each buoy will be marked with a sequential number to identify where it came from and lost gear must be reported, along with its last-known GPS position. This will help the government understand how much fishing gear is lost annually and determine if it needs to assist with retrieval efforts, said LeBlanc. Conservation protection officers will be inspecting gear "rigorously" on wharves and at sea before and during the season, said LeBlanc. "We're expecting 100 per cent compliance," he said, pointing out some of the new measures were suggested by the industry itself. "They have shown an enormous desire to collaborate with us," said LeBlanc. "So I don't imagine there will be much tolerance from the fishing industry for members … who choose not to respect these conditions." Anyone who doesn't "will face the consequences." The new requirements will be included in a harvester's licence conditions, department spokesperson Krista Petersen later told CBC News. "A person found by a fishery officer to be in contravention of the regulations may be charged with an offence that can result in punishment ranging from fines to an indictable offence," she said. The minister said it will be up to prosecutors and judges to determine the penalties, in accordance with the Fisheries Act. To help fishermen transition to the new requirements, conservation protection officers will be available immediately to answer questions, LeBlanc said. 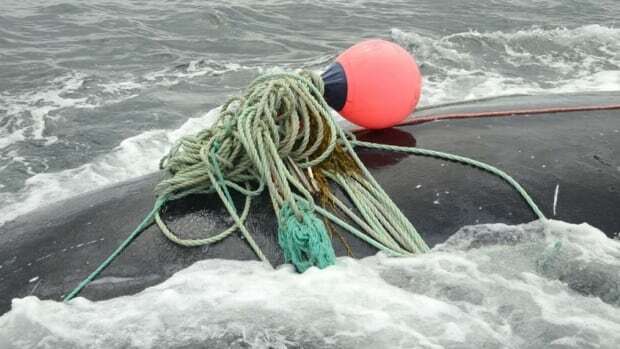 Whale rescues, suspended last summer after Campobello Island fisherman Joe Howlett was killed trying to free an entangled whale, remain on hold for now, said LeBlanc. But he hopes to announce a "Plan B" before the whales return. "Until I'm satisfied that we have a safe operational plan, I cannot in good conscience allow people's safety to be put in jeopardy, but I'm encouraged … that we'll be able ot arrive at a safe plan," he said. In the United States, conservation and animal-protection groups are suing the National Marine Fisheries Service, alleging it failed to protect right whales from entanglement in commercial fishing gear. 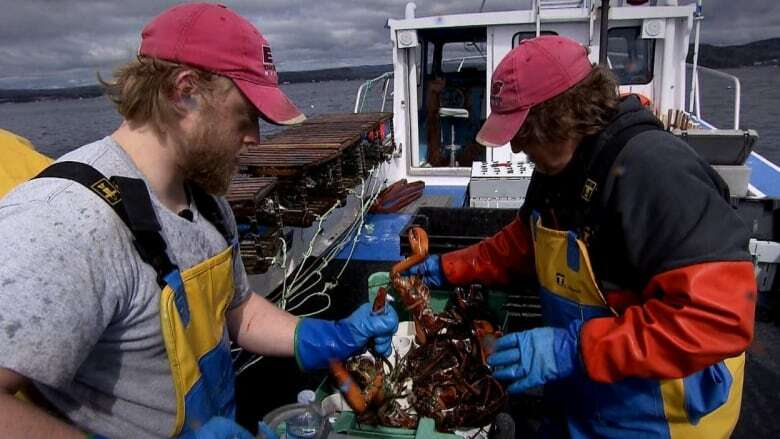 The lawsuit alleges the federal management of the U.S. lobster fishery violates the Endangered Species Act and the Marine Mammal Protection Act. It seeks to force the agency to do a sufficient examination of the fishery's impact on North Atlantic right whales and take more steps to prevent entanglements. 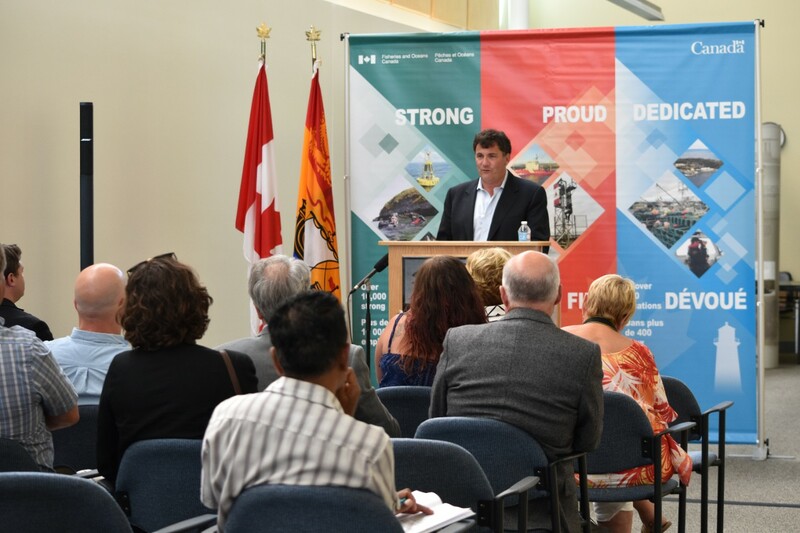 Moncton, New Brunswick – Canada’s commitment to protecting the North Atlantic Right Whale was front and centre at a roundtable meeting led by the Honourable Dominic LeBlanc, Minister of Fisheries, Oceans and the Canadian Coast Guard. Minister LeBlanc met with representatives from fishing organizations, marine transportation industries, cruise lines, ferry associations, Indigenous peoples, whale experts and scientists, as well as the United States National Oceanic and Atmospheric Administration (NOAA), to discuss concrete actions which can be taken to better protect the right whale in Canadian waters. This roundtable is just one part of a comprehensive approach to ensure these marine mammals are protected for future generations. • Actively exploring opportunities to adjust existing fishing gear immediately to reduce the risk of entanglements. • Testing new gear technologies that would reduce the amount of rope in the water and lower the risk of whale entanglements. • Adjusting fishing seasons to avoid periods when right whales congregate. • Implementing measures to reduce lost fishing gear that poses a risk to whales and other species. • Enhancing whale sighting and detection information, and timely sharing of this information among all those concerned. • Considering seasonal speed restrictions in target areas and adjustments to shipping lanes based on accurate and timely whale sightings information. • Improving the collaboration and coordination across industry sectors, governments and non-governmental organizations to leverage the expertise on the protection and recovery of the North Atlantic Right Whale. The collective expertise gathered in this forum and the proposed actions will help inform government policy on reducing the impacts of human activity on right whales and to protecting our waters and marine life for generations to come. The roundtable meeting stems from an unprecedented 12 North Atlantic Right Whale deaths in the Gulf of St. Lawrence from June to September 2017. The Government of Canada’s $1.5 billion investment in the Oceans Protection Plan includes measures that will address threats to marine mammals in Canadian waters and enhance capacity to respond to marine mammal incidents. St. Andrews, NB - The Government of Canada is committed to using scientific evidence to inform marine management decisions. Investments in science will help protect our oceans and ensure that our fisheries and aquaculture sectors provide meaningful employment for Canadians for generations to come. The Honourable Dominic LeBlanc, Minister of Fisheries, Oceans and the Canadian Coast Guard today announced that the Government of Canada continues to implement investments of $8.9 million at the St. Andrews Biological Station, Atlantic Canada’s oldest marine research facility. The investments continue to focus on upgrades to the laboratories to support ocean science research and improve the building’s accessibility, safety and security. Minister LeBlanc also announced that 15 new scientists, biologists, hydrographers and other science professionals will be located at the Station. These new employees will support healthy fish stocks and ecosystems, and sustainable aquaculture. They will also do important work to help protect our marine environments and communities from the potential effects of oil spills and day-to-day vessel operations. Some of these new employees will be hired under the $1.5 billion Oceans Protection Plan, which will improve marine safety and responsible shipping, and protect Canada’s coastal habitats, ecosystems and marine species. Others will be hired under the $197.1 million Budget 2016 investment in ocean and freshwater sciences. Through the Oceans Protection Plan and Budget 2016 investments, Fisheries and Oceans Canada is hiring 254 science professionals across the country. 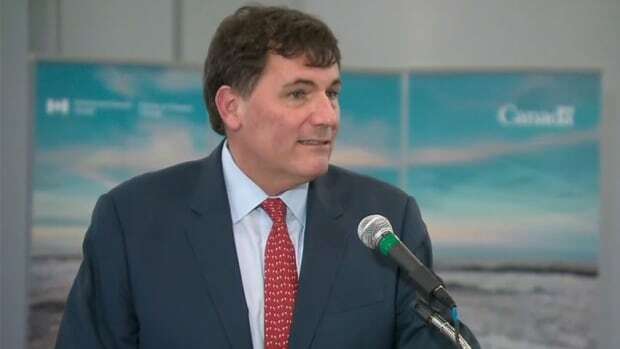 Photo legend: The Honourable Dominic LeBlanc, Minister of Fisheries, Oceans and the Canadian Coast Guard announced funding in support of scientific research and 15 new science positions at the St. Andrews Biological Station. Founded in 1908, the St. Andrews Biological Station conducts scientific studies focussed on the Bay of Fundy and Gulf of Maine, as well as regional coastal ecosystems and traditional fisheries. A large portion of research is done in collaboration with universities, environmental groups, and the aquaculture and fishing industries. The infrastructure upgrades are funded under the Federal Infrastructure Fund.